Offering guided and unguided fishing, hunting and adventuring on Lake Superior, Lake Nipigon and the surrounding areas. Based in Nipigon Ontario at the heart of the Boreal Forest. Lake Superior is the largest freshwater lake in the world. It is also the cleanest and clearest. With over 400 islands there are plenty of places to explore. 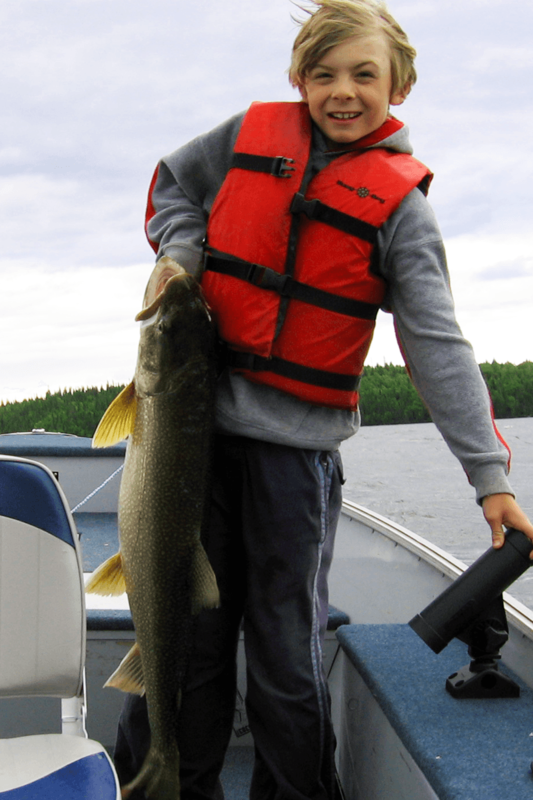 Our Nipigon Guides will put you on the fish. 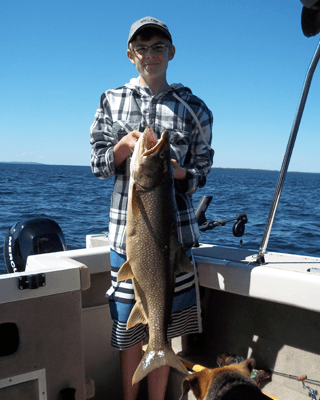 At our Moss Island location on Lake Superior you can fish for ten different species; Lake Trout, Brook Trout, Rainbow Trout, Brown Trout, Chinook Salmon, Coho Salmon, Walleye, Northern Pike, Whitefish and Perch. You never know what will be on the end of your line each time you cast. 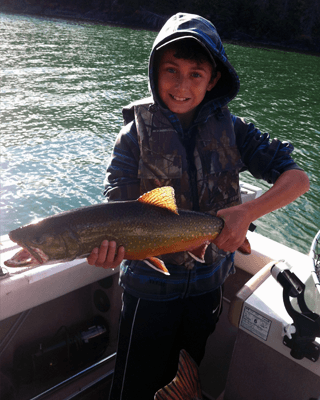 The Nipigon River and Lake Nipigon area is known for world record Brook Trout. 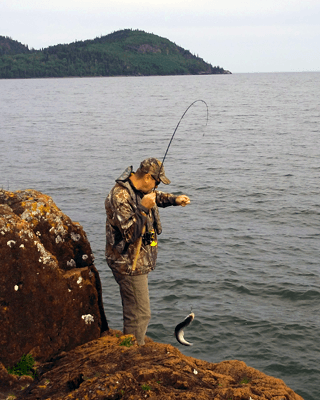 Lake Nipigon has “monster” Northern Pike fishing and Lake Trout. Walleye and Brook Trout are also plentiful. 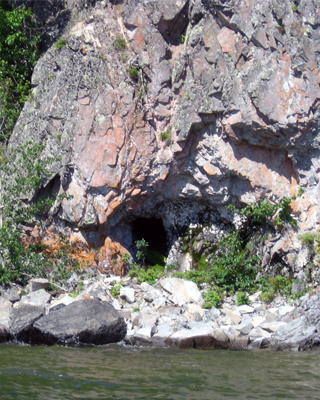 The lower river and Nipigon River Mouth area has great salmon and steelhead runs as well. 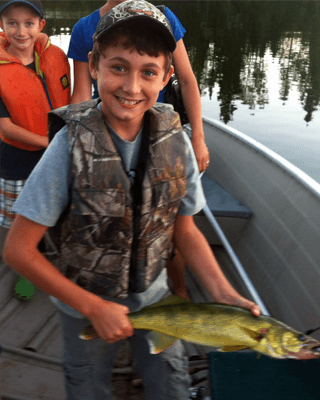 Our Nipigon Guides live hear and have grown up fishing the rivers and lakes. 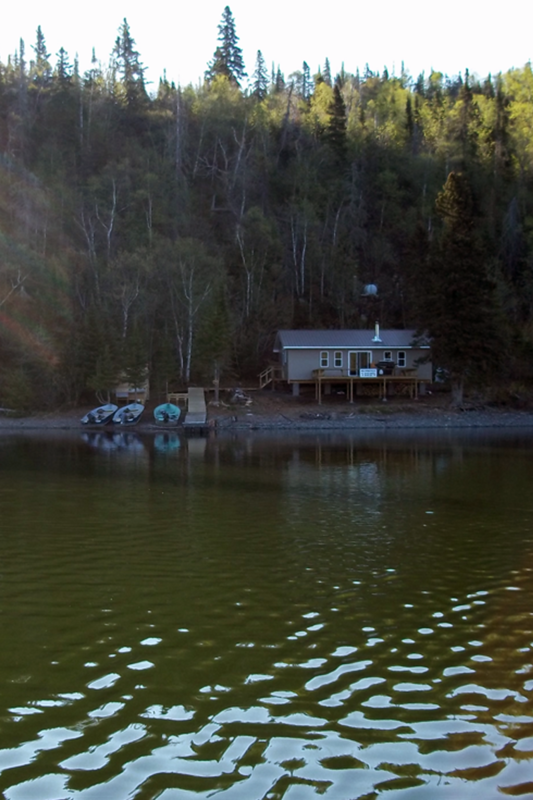 Our outpost camp is the only lodge this close to Lake Nipigon in the Black Sturgeon area. 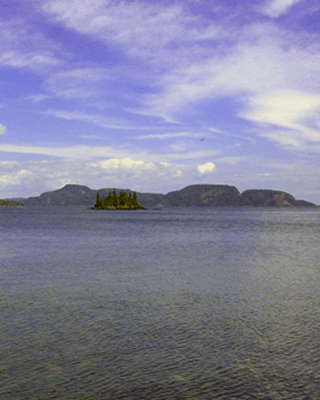 The area around Lake Nipigon is protected as park land, therefore we are minutes from Lake Nipigon by ATV. We supply the ATV transportation and boats but guests are welcome to bring their own if preferred. 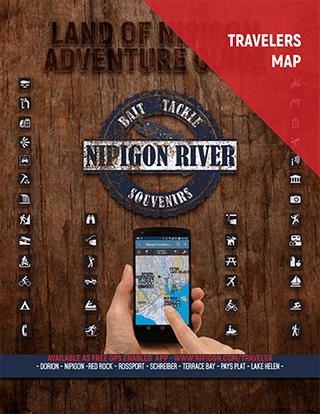 FREE Download - Travelers information to the Nipigon area! Lake Superior offers moose hunting at its finest, every group that attends leaves the lodge happy, and most often returns to hunt again. 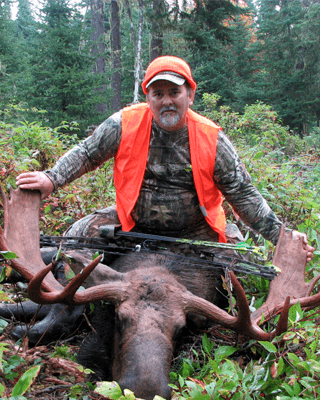 Many of our moose hunters have been with us from the beginning (30+ years). We offer professionally guided hunts in both archery and rifle. 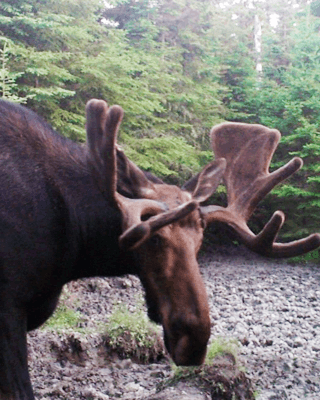 We can also provide lodge rental and guided hunts for resident hunters who are successful in the moose lottery for WMU 14. Our hunts are conducted from stands located on natural salt licks and surrounding area. We have a limited number of tags for our hunters so don’t delay. Lake Nipigon Outpost offers moose hunting in the Black Sturgeon area to resident hunters in WMU 15B. 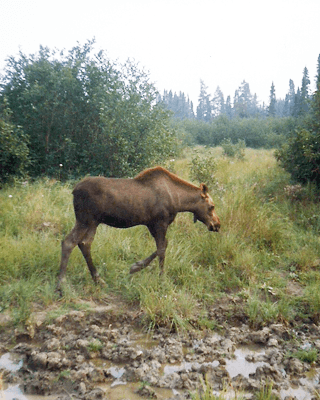 The Black Sturgeon area has a rich moose population, that is largely accessible by truck and ATV. We offer deluxe accommodation’s in our remote outpost lodge, with guiding service packages if desired. 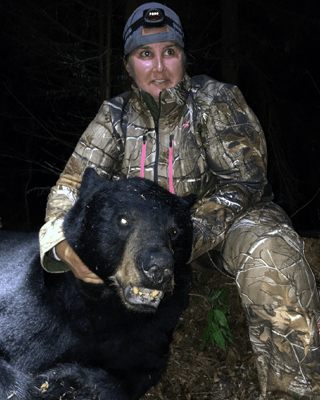 North Superior Charters has three different options for black bear hunting on hundreds of square miles of land with a large black bear population. Throughout the bear management areas are strategically placed baited stands, active with bears. Hunting for both rifle and bow with guided hunts are available. All hunts can be combined with fishing. The Ontario Government has reopened the non-resident spring bear hunt so non resident hunters can now choose between a spring and fall hunt – both are very successful in our areas. Our BMAs have produced several certified Boon & Crockett black bears and Pope black bears. Trips include the use of 16ft deep draft aluminum boats equipped with new 15hp four stroke motors. 25ft Voyageur Canoe so our guests can experience paddling along the historic voyageur fur trade route. 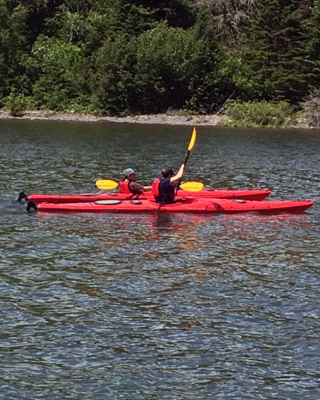 Guests can use our canoes and kayaks as part of their stay with us. 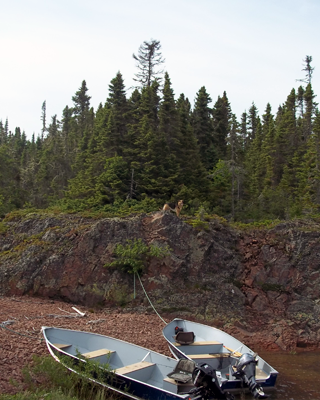 Or we can transport you and your own canoe or kayak out to our lodges on Lake Superior. 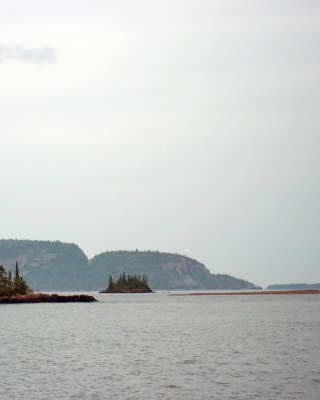 Paddle along and explore the islands and shoreline around Lake Superior, don’t forget to visit our geocache locations hidden among the islands and shores. 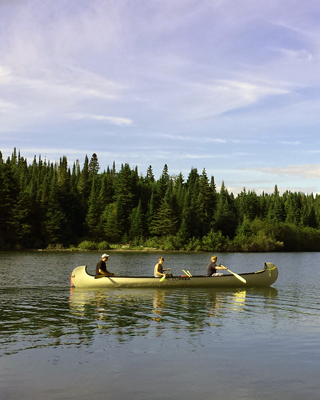 Explore the shoreline, islands, beaches and wilderness that is Northwest Ontario at its finest. 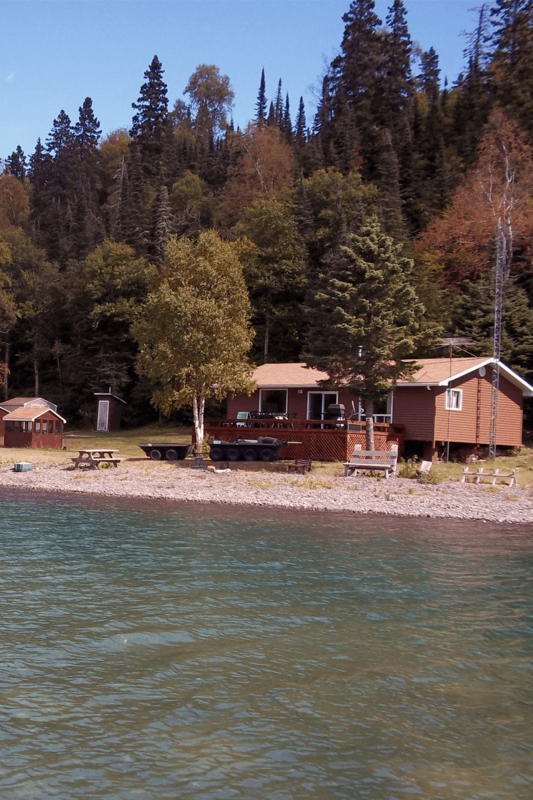 North Superior Charters offers three lodges to their guests with two different locations to comfortably stay on Lake Superior among the protected barrier islands of Nipigon Bay for up to 14 people and our newest lodge located in the Black Sturgeon area on Lake Nipigon with 160 acres of private pristine Canadian wilderness to enjoy with up to 6 people. All lodges are your home away from home, with all the luxuries you wouldn’t expect so far from civilization. No matter if your hunting, fishing, exploring or just getting away from it all, we have a lodge for you.